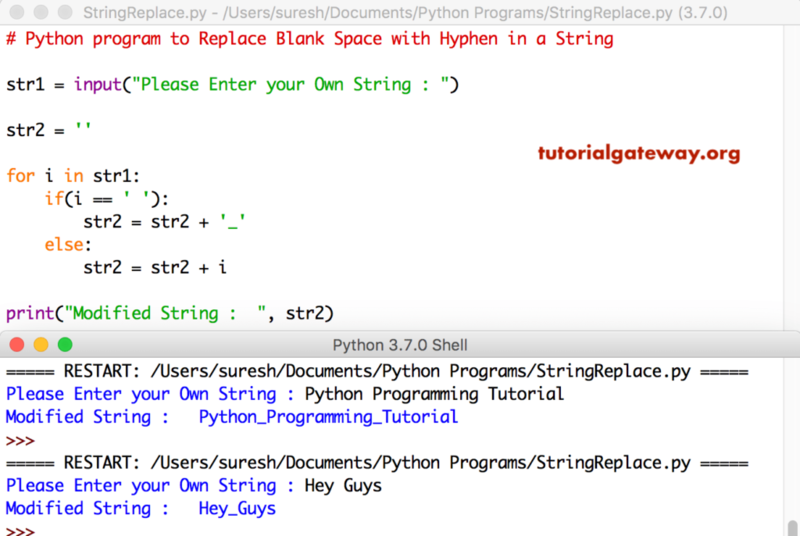 In this article, we will show you, How to write a Python program to Replace Blank Space with Hyphen in a String using replace function, and For Loop with practical example. This python program allows the user to enter a string. Next, we used built-in string function called replace to replace empty space with hyphen.